Your menu is great. Your staff are expertly trained. So, what else can you use to get top reviews and a fully booked restaurant each night? The answer? Social proof. In this article, we’ll show you why you’ll want to use it and how to do it well, creating a restaurant with buzz in no time. What Exactly is Social Proof? Social proof is a psychological concept that states the behavior and actions of people around us can lead us to change our own behavior to model that group. Put simply, it’s the “proof” that if others are saying or doing it then it must be true. Social proof is extremely powerful and has the power to influence people’s behavior both online and offline, including in politics, purchasing, and marketing. All because deep down -- at least subconsciously -- people just want to be the same as everyone else. We want to buy the things others are buying and go to restaurants where others love to go. We all want to get into that full restaurant, specifically because it’s full. When it comes to marketing for your restaurant, the combination of social media and social proof will hugely boost your reach and impact. Consumers now have a huge amount of information available through reviews, rating sites, and online influencers. That means consumer behavior and attitudes can be changed to develop trends and create buzz as a result. This, of course, is what makes it a marketing goldmine for your restaurant’s strategy. Using social proof combined with traditional marketing techniques and a targeted social media approach will supercharge your restaurant’s growth. You’ll boost your reputation, bookings and fans. But only if it’s done properly. We’ll talk you through some great ways to introduce social proof to your marketing mix. Traditional restaurant marketing techniques of ads and critic reviews can be boosted with the power of social proof. If you have a great recent review, share it everywhere you can think of, including your Facebook page, Twitter, and Instagram. Highlight the review in traditional ads and on your homepage. 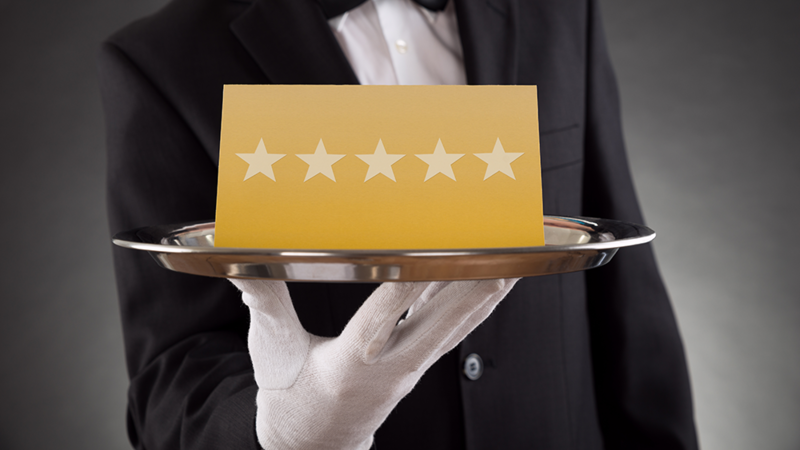 Make sure every potential customer who comes into contact with your restaurant’s marketing sees your amazing reviews. If you’re running traditional print ads, shout loudly about your successes. If you’re rated number one on Tripadvisor, put it on the ad. Great testimonials and quotes are excellent to include on ads, continually contributing to the idea of social proof. People want to go to places others think are great, so let them know other people love you too. Engaging consistently with your restaurant’s fans, followers and commenters will increase your social proof, your restaurant’s marketing influence and reach. Facebook likes, Instagram follows and the number of reviews you have will all increase with more engagement from you. The more of these you have, the more social proof power you’ll be able to harness. Increasing your social media engagement will also give you valuable data insights. These will give you the power to drive your social proof restaurant marketing even further, so you’ll know the best places to engage with your target customers online and how best to encourage interaction. There’s a reason you’re always asked to leave a review. Restaurant reviews are king. When people can’t decide where to eat, they turn to online reviews, using social proof to make their decision. Great reviews on sites such as Facebook, Yelp and Tripadvisor make it easy for your restaurant to create a buzz and climb social media rankings. And social proof ensures other customers want to follow. Luckily, people love to share their opinions just as much as others want to read them; you just need to make it as easy as possible for them. Encourage customer reviews with offers or free products and always ask them to leave a review before they leave your restaurant. Make sure your menu and any printed material have social media icons clearly present; you want to create a review and sharing culture across your whole brand. Technology also plays an essential role here. Taking advantage of your guest WiFi to increase TripAdvisor reviews is one way in which you can accelerate your review count and increase your presence. Restaurant marketing is a crowded and fiercely competitive environment. Using the power of social proof will help put you ahead of your competition. As well as an increased number of diners; you’ll develop important data insights and customer connections. You won’t regret utilizing the power of social proof restaurant marketing. Hannah Hambleton is a marketing expert and writer for Beambox.com. Beambox provides guest WiFi marketing solutions for small business.